It has been said that no two 1966 Shelby Group II Notchbacks were prepared exactly the same. Number 6 seems to have a few features all to herself. It must be remembered that Number 6 was prepared for the 1967 24 Hour Daytona Continental and not a 1966 TransAm or A-Sedan event. It is up to speculation as to wheather or not the following features were in fact originally installed by Shelby American on Number 6. 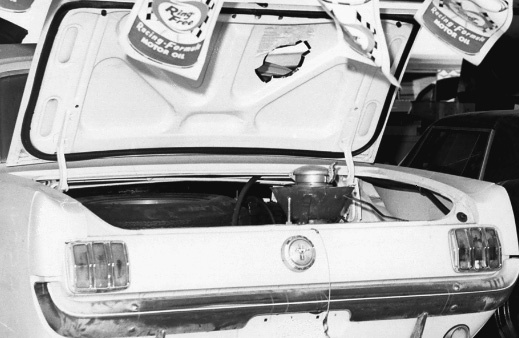 The original Bill of Sale stated the car was delivered directly to Daytona in 1967. John Noorwood, the Team Manager for the Ring Free Oil Racing Team at Daytona, stated "the car was raced exactly as it came off the transporter". The most obvious and somewhat controversal difference between #6 and her sister cars is the external fuel filler. 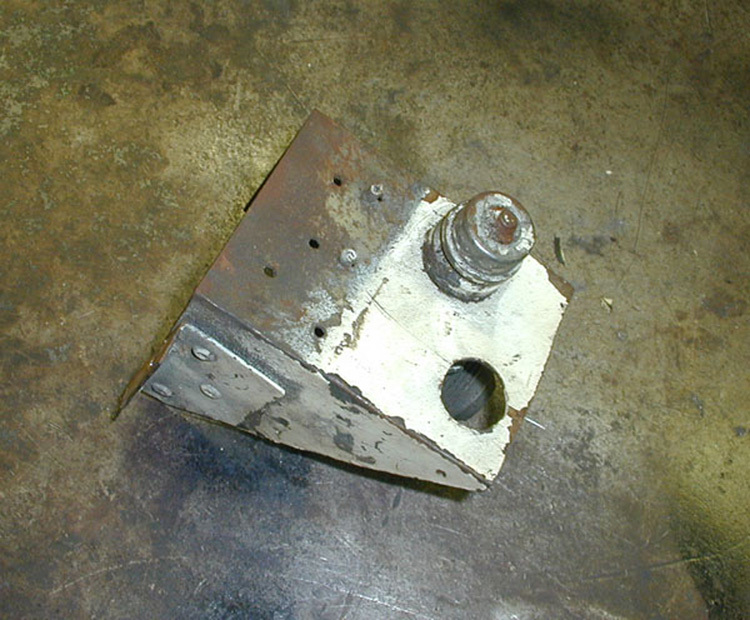 External fillers were not required in 1966 however were mandatory in 1967. Since car #6 was prepared for the 1967 Daytona 24 Hour it had to meet the 1967 rules. Look closley and you can see the spare tire, another requirement of the FIA Group II rules. Another noticable difference is the presence of a front bumper. TransAm rules permitted removal of the bumpers. 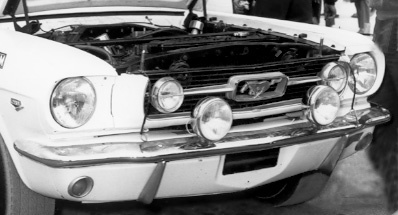 The 1967 FIA Group II rules required the bumbers be left in place. The doors on Number 6 had lights mounted to illuminate the door numbers at night. The number on the trunk was also illuminated with the same type of light. 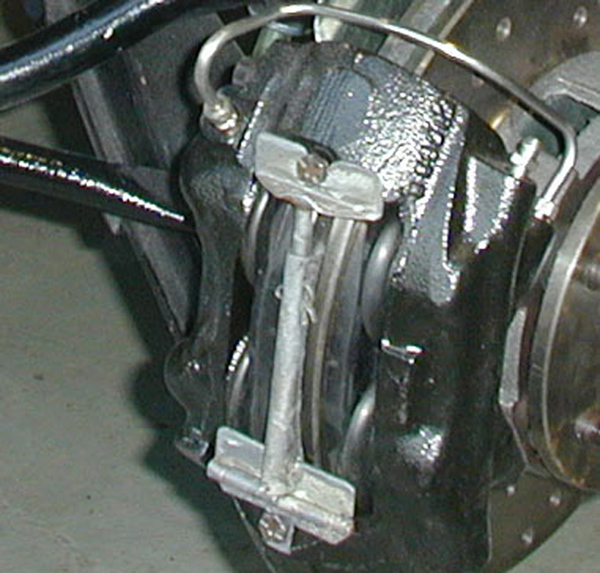 The front disk brake calipers were modified with a spring loaded "quick change" feature. This reduced the time needed to change brake pads in endurance racing. Another item believed to be original on Number 6 is this quick disconnect pressure fitting. Most likley used to add oil and water to a hot engine during a race..